There are countless apps for making shopping lists. However, most of them require using your devices to write lists. On top of that, this apps can drain your battery, be complicated and take a lot of RAM memory. Instead of that, I will recommend you one free Android app that will make the creating of shopping lists very easy and simple. ListOnGo Shopping List is free Android app that will become your new favorite shopping partner. The app is unique, when compared to the other apps, because you can create lists using your email. You need to sign up (simple email and password registration) and that's it, you can start using their useful service. Lets say you need to create shopping list for the supermarket, while you are at work. You can open you email and compose a message. You need to send it to list@listongo.com, the subject will be the name of your shopping list, in this case "Supermarket", and the message will be the products. After that you will receive the list on your phone in a simple list. There is a box for every product, so you can check every product after you buy it. You can edit the list from your phone and add certain products you forgot. It is simple as that. ListOnGo is extremely simple, there are no unneeded features, categories or lags, everything runs smooth, fast and in easy and organized manner. The UI is incredibly simple and lovely. Actually, this is one of the cleanest and fastest apps I've ever used. Talking to the developers they assured me that they will make this app cross platform. App for iOS devices will be available very soon. You can also check their website for getting more information about the app. Every business faces all sorts of different problems everyday. However, it would be great if you have some assistance in solving the majority of the business problems. That is why today I will present you the services of Ormita Commerce Network Barter Exchange. Ormita Commerce is a system that will help you to remove the limitations that traditionally were a part of any barter transaction, such as the need for an equal dollar value, the mutual need between any two companies for each other's product or service, and the time it can take to coordinate the transaction. Issues that contribute to the need for cash flow management include highly competitive markets where constant advertising is a mandate, increasing business expenditures to attract consumer attention, planned or unplanned downtime, perishable inventory and the necessity of discounting inventory. The Ormita Commerce Network barter exchange helps businesses alleviate the affects of these problems. This services are intended for Governments and State Enterprises. The services of Ormita Commerce are needed in order to leverage barter trade for large-scale import transactions. Especially they can help when there is limited foreign currency reserves or volatile currency exchange rates. This is such an unique help, that is why they are so global and broad. This is intended for businesses from any size. Basically Ormita Commerce can help you with any sorts of problems you may face, like problems in supply, demand, inventory or return of investment. This is also very unique and quality service. Basically Ormita Commerce will enable you to do advertising with barter or how they call it "barter for advertising". What this service do is that it enables the company to swap its time, space or excess and undervalued inventory for media campaigns. Pretty neat right? This service offers unique opportunity for creating partnerships i.e you becoming part of their network. Ormita Commerce is global network. It has offices in 5 continents and over 21 countries and they are managing a global barter trade volume in excess of $2.86 billion USD per annum.. You can learn more about their services and contact them here. We all know that 4G is the fastest mobile wireless internet technology nowadays. However, not everyone has access to it. So, today we are going to present you device that will enable you 4G wireless internet in your home, or even when you are outside. The device is called FreedomPop Photon 4G Hotspot owned and already tested by me. This 4G hotspot comes with free 500MB of Internet per month. 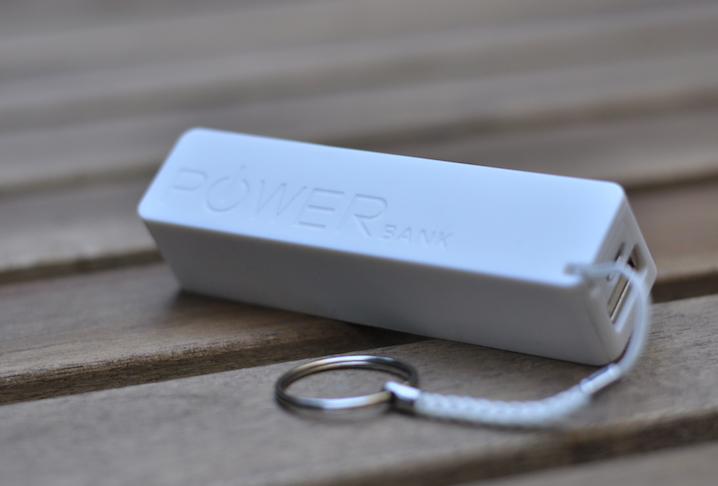 It comes with very useful 2,000 mAh portable power station so you can use it extensively when you are outside. Pretty useful when you are on some vacation or trip. I've used it for 6 hours straight on my last trip. What is also great that many people can connect to this hotspot device. My whole family was using this ultra speed internet and be aware that up to 8 people can connect to it. The fact that the device is so light and small makes it even better. You can carry it in your purse or pocket. I carry it anywhere. I save so much money with it, because I canceled my 3G plan and I'm using ultra speed 4G internet from this device. It is a smart move. I use FreedomPop for VoIP calls and YouTube videos. The internet connection this device gives me is incredible. I never had any problem with the signal or with lags. The best thing about it is that I got it at a special deal for only $14 on site called Yugster. It is a cool Daily Deals website that offers good deals on tech products. I've got some great headphones as well. If you are a tech junkie you should definitely visit it. The handheld stable platform gimbal systems are professional stabilizers of various devices. Gazer are practically the most professional, quality and dedicated company that produces this kind of products. They work with incredible passion and they want to make their products available to the world. That is one of the reasons why they started project on Kickstarter. They pledged $16,628 so far and they are close to their goal. SP1 is intended for smartphones. You can use it for iPhones or basically any other Android device. This stabilizer will enable you to capture breathtaking pictures and videos. You can use it in various angles with various stabilization and customization features. MD1 is intended for all compact size/mini DSLR cameras. Most of the brand cameras with that size are supported. Like with the SP1, you will get amazing stabilization and customization features because this device includes: adjustable tilt angle, 360 degree rollable handle, quick mounting device, proprietary fast & silent AC brushless motor, horizontal and vertical fine tune, proprietary FUZZY A.I. algorithm, virtually ZERO degree auto leveling and fully automatic swift initiation. MD2 is similar to MD1, but practically it is an 3 axis mini DSLR gimbal. It includes all direction joystick control with integrated pan lock. Amazing product that is compatible with most of the mini DSLR cameras. GP1 handled gimbal is Go Pro 3/3+ companion. It has all the features of the MD1, but it has different dimensions. DS1 Professional 3-axis DSLR Gimbal intended for Panasonic Lumix DMC-GH3 DSLR. This handled gimbal includes Pan axis lock button, 3-axis all direction stabilization, Virtually Zero degree auto leveling and the Proprietary FUZZY A.I. algorithm which is included in all Gazer Products. This particular product was awarded with an Innovation Award in Japan. DS2 Professional 3-axis DSLR Gimbal for Blackmagic BMPCC DSLR is similar to the previous model but it is intended for Blackmagic BMPCC. DS3 Professional 3-axis DSLR Gimbal intended for Canon 5D3 Mark III DSLR. All the products of Gazer were presented around the world and received various awards for innovation. They are truly amazing company that want to be leaders in this new niche in the consumer electronics. Recently I found this cool app that will lead you to apps that are tested and really useful, but you don't know them or you never heard of them. Mobogenie Market is extremely popular Android app that will let you download cool apps, games, ringtones, and wallpapers directly to your Android device without a computer! All you need is to download and install Mobogenie Market. The app then acts like a app store. It has tons of useful categories, popular downloads and interesting games. It has tons of extremely quality downloads, like beautiful wallpapers, entertaining ringtones and amazing songs. Why not try it? It is free and available on Google Play. It has more than 50 million downloads. Browsing through Google Play and the App Store, I found one really interesting time-killer called Squishy Fruit. I've been addicted to this in the last two weeks. 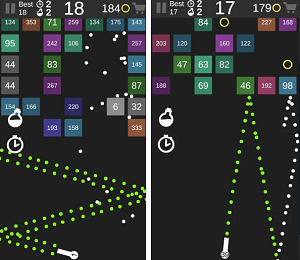 It is a simple tap game, but the developers made it so interesting and competitive that you just can't stop playing it. There are more than 30 level and it gets extremely hard as you progress. However, the game is stress killer, it relaxes me every time I play it after a long nervous and stressful day. The goal is to achieve high score. You will definitely get more points in the higher levels, so don't give up. I love the graphics, the fruits are very funny and interesting to squash. Of course there are obstacles that will stop you to squash the fruits, like worms, flies and even scorpions. The graphics and sound make the game even more enjoyable. The game is colorful and dynamic, it looks great, especially on my iPad. You can integrate the game with your Facebook and follow the high score of other players. You can see where you at, improve your score and battle with fellow Squishy Fruiters. The game is created by a professional group of developers that already produced similar hit games. 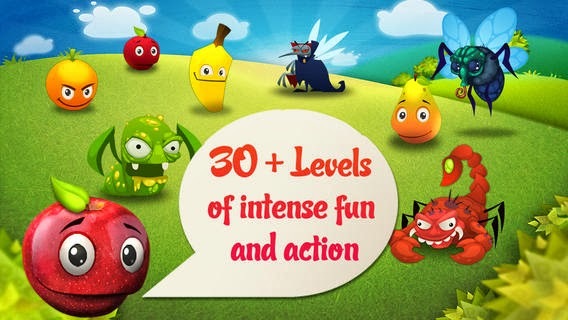 Squishy Fruit is very popular on Google Play and App Store and it has more than 3,6 million downloads. The game is free and available for both Android and iOS devices. We all know that every business must go mobile nowadays. It doesn't matter if you are restaraunt, coffee shop or just an event, you will definitely have more customers if you have mobile app of your services, or mobile version of your website. Mobile Matey is one really quality service that will enable you to create apps really easy and with great customization features. No programming skills are required. However, even though creating an app on Mobile Matey is easy and simple, the features this website offers are really numerous and quality. 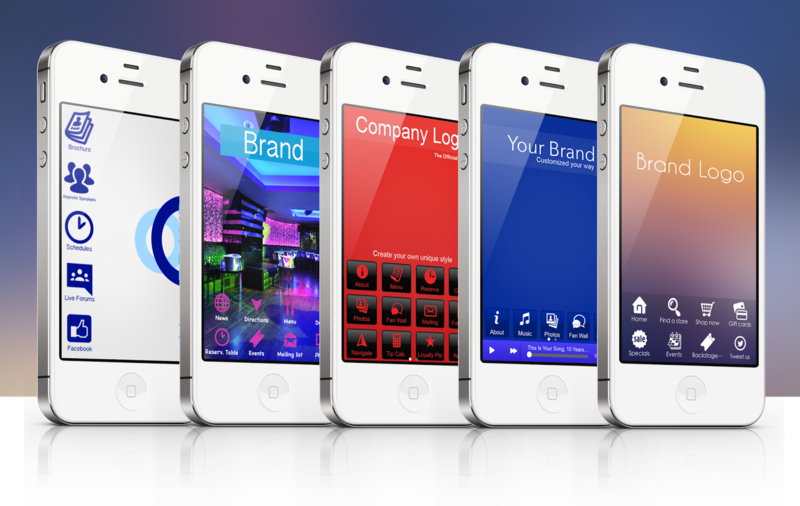 You will be able to make your app look astonishing, urban and modern. You can add audio, video and pictures, which is expected, but you can also add contact and forms, social media links, GPS navigation, events and news and even coupons in order to engage more customers. First you need to design your app and take advantage of the features of Mobile Matey. Headers, banners, images or colors, you can customize it all. Then you can preview it and after you are sure that you found the right version of your mobile app you can publish it on the App Store or Google Play. 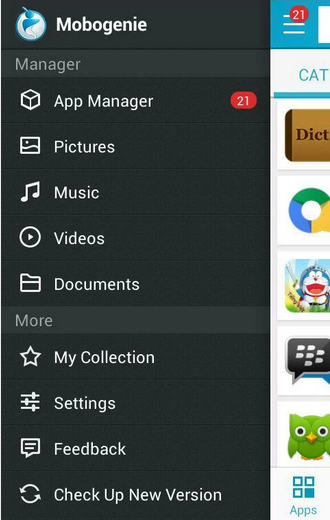 That's it, you will have mobile apps for the best and most popular platforms. Your app will be stored and hosted in their cloud and your app can be accessed online or offline. If you want to add or change your app, you just need to log in with your account. There is excellent support if you have any issue. They are real professionals dedicated to make your app more successful. I'm currently designing the app for Hightechholic and I will release it pretty soon. Mobile Matey is amazing service that I will warmly recommend to anyone! Getting traffic to your website or blogs is basically the hardest thing to do when managing or starting with this business. No matter if you want to earn through ads, like from Google Adsense, or you want to do affiliate marketing, you depend very much from the traffic. Today, we are going to present you one really good product, that I've tested in the last couple of weeks, called Supreme Traffic Bot. I've successfully boosted my traffic on 3 small blogs and 4 videos. However, you can use this bot not only for the traffic. I've used many bots in the past, but this one is something special. Not only that it can generate you quality traffic, but also it can do different tasks depending of your needs. It can solve complex captchas for example. Nevertheless, the service this guys offers comes with various scripts like SEO and Click Script and Bitcoin Collector Script. I've used SEO and Click Script for a small blog of mine. Basically the script enabled me to setup keyword which the bot will search on the search engine, and then it will find my blog and click on it. That made the visits look very legitimate! You can also set up every visit to make certain number of imps, so your bounce rate will stay as low as possible. We all know, that recent changes in the search engine algorithms suggest that the sites with better click through rate and lower bounce rate will rank higher than its competitors, even if the competitors have bigger authority. I can confirm this as I've outranked some really good sites with this method. The users of this Supreme Traffic Bot can even create scripts themselves. Creating a script seemed complex before, but after using Supreme Traffic Bot, this became a routine and easy job for me. The creators did extremely great job in creating a quality editor, I've created really good scripts for my personal use. Also, you can add multiple URLs for generating visits and you can create delays of the visits, pretty useful for video views. So, before buying traffic or bots online, be sure to check Supreme Traffic Bot, because they also have already prepared earning methods, after you buy the service. Cheers! Entertaining your kids is one of the best things you can do for them when they are at young age. However, the search for interesting and quality kid friendly places can be frustrating at times. Sometimes you can end up in places that your children will hate. 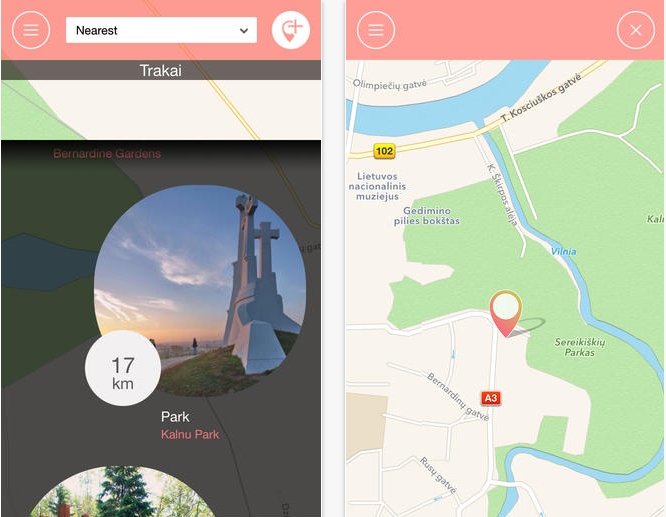 So today, we are going to present you one really simple, but very useful app that will help you find entertaining kid friendly places near your location. However this app will also interesting activities around you, not only places. So, I'm sure that you will find something exciting to do with your kids. All activities are divided by categories, which makes it even easier for you to find the best activities. The app has clean and simple UI and there are some other neat additional features that you can use. You can take a photo and search an activity with your photo. You can share any location to Twitter and Facebook. You can also favorite any location and that is how you will have it on your phone for any other time you want to visit that location or do that activity. The app is free and it is currently one of the best rated apps in the Travel category. Why not try it? It will give you tons of fun activities that you can do with your kids. I've used many online casino and betting websites. I've been scammed, I didn't got promised bonuses and on some suspicious websites I didn't even get paid. This website that I am going to present to you today, will help prevent you from having to endure these types of scams. Betting411 is really popular online gambling watchdog. They are created and work with simple goal - to protect you from any possible online gambling scams and to offer you the best online casino websites. They offer simple and useful software that will provide you high security when you use online sportsbooks, online casinos and online poker rooms. They have "blacklists" which practically inform you of the scammy websites. They rate/grade/and inform players which gambling sites are tested and of quality. As a online gambling watchdog they offer to their users to make complaint forms. As a online gambling watchdog they recommend to their users to file complaint form, if they have a legitimate complaint against an online casino, sportsbook, or poker room. So, before you bet anything again you must check their list of sites that you need to avoid, but what is interesting is that Betting411 has a blacklist of known players that tried to scam the betting websites. The site also offers great, safe online gambling websites. They offer various bonuses for your first sign up. The dedicated team of Betting411 also created tons of useful betting articles for horse, casino and poker online betting. There are real tested reviews for various online betting websites, various directories and list of best casino and poker bonuses. I will definitely bookmark this website, because I will surely need it for my online betting in the future. YesUpCloud is experienced company that it is in the cloud server business for over 13 years. After doing little research, I can confirm that YesUpCloud is surely one of the most affordable out there. - You will get premium and highly professional technical support. - You will have amazing reseller admin and user admin panel. This panels include features as: complete pricing control, customizable cloud offerings, user and billing integration web-based console access, dynamic CPU/RAM/HDD resize and Credit Card and PayPal Payment. - Dedicated server packages and private network plans. With other words they have already prepared solutions from which you can make huge profits, if you manage things well. - Elastic CPU and 24/7 online security. Digital Ocean is one similar company to YesUpCloud. My research showed that Digital Ocean is more than 129 times more expensive than YesUpCloud. Below is a quick comparison between yesupcloud and Digital Ocean based on 30TBusage. If we convert the cost into hourly rate by using 30-day a month, YesUpCloud would remain as $0.0063/hr, whereas Digital Ocean would become as high as $0.8125/hr - that is nearly 129 times more expensive. So before you buy anything, I think you should take this facts as a guide. Today I'm going to present you MyPBX, the perfect PBXww based business solution, which is cloud-based virtual phone system that you will surely love if your business or company uses phones very frequently. It can definitely lower your expenses and be a step forward from the limiting traditional telephony. The drag and drop phone system setup will also give you amazing control of your phone numbers and calls. MyPBX comes with remarkable web app that will help you manage all the phone numbers your company has and all the inbound and outbound calls. You can use MyPBX for multiple purposes and most importantly all this great features are really affordable and simple to use. - You can manage every incoming call. - Every call can be forwarded to land line phone, mobile phone, Skype, Google Talk or VoIP destinations like Viber. - You can also forward a call to multiple destinations simultaneously or by predefined order. So, if you forward a call to the manager and the manager doesn't pick up the phone, the call can be forwarded to the assistant for example. - You can also forward the calls to a voicemail. You can directly record or edit the voicemail. Any received voicemail will be sent to the mail you desire. - Recording of messages and text to speech feature. - Fax reception and forwarding of the fax to email. - Conference room with multiple participants and blocking unwanted calls or numbers. - All phone calls can be recorded and sent to certain email address. Because it is cloud based, you can access and manage your phone system literally from anywhere. 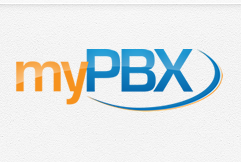 Also MyPBX will give you not only great control, but also it will cut or lower the costs you pay to your phone company. All you need is to purchase a phone number from one of the 50 countries and you will get unlimited calls to over 70 countries. It can really be great business solution that can make you more effective and that can improve your earnings. Basically with MyPBX you can get extremely flexible pricing options. One of my clients is currently using the $5 per month option and with only $29 you can get unlimited global outbound and inbound calling. Another great offer is the $19 per month, for unlimited US and Canada calls. More information can be found at the MyPBX Website. 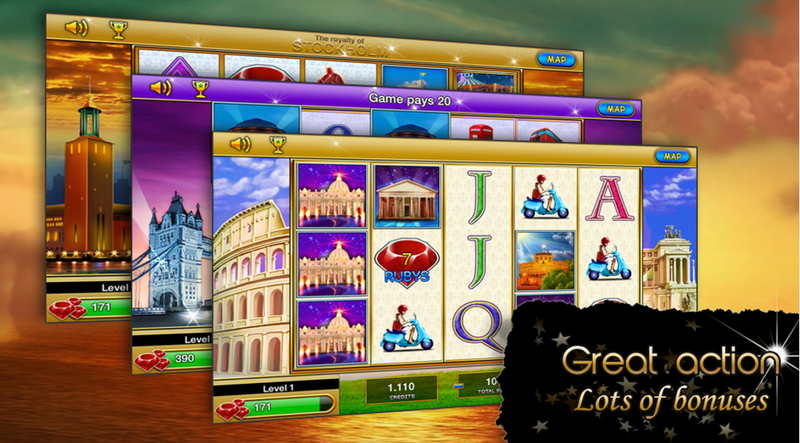 Today we are going to present you one really quality, addicting and interesting casino game called Slots - World Adventure. As a fan of slots myself, I'm always entertained by colorful and appealing slot games. Slots - World Adventure is a game just like that. Extremely exciting, fun and joyful. You will definitely enjoy this colorful and compelling game. The game is not only about the coins or money you earn. As you progress you will open new levels and unlock new astonishing magical worlds. You can go through the slots very fast and you are not limited to play the game only with internet connection, like the other games. You can enjoy Slots - World Adventure in offline mode. From Ancient Greece, to Egypt this game will really take you to the world of adventures. The sounds are also really good and they will surely make your time playing this game much more unique and interesting. The graphics are one of the best I've seen. There are huge bonuses and amazing payouts. The jackpot is not that frequent, but when it hit you, you will definitely feel great chunks of joy, I can confirm that, as I played this game in the last two weeks. The game is free and available for Android and iOS devices. It looks really astonishing on tablets. I am sure that you will be addicted to this amazing game. P.S: My favorite slot is Royalty of Stockholm. Shift organization can be really frustrating. I know this from experience, as I worked in many different businesses. However, recently I found one really great service that organizes the shifts of every employee. It is an online based tool, so you can do you management from any place that has Internet connection. FindMyShift.com is in the business for very long time and already has broad user base. Everything works in simple drag and drop system. The UI is really neat and ease to manage. Тhe editing tools are really simple, but yet extremely useful. What is great, is that this guys have put great effort in tutorials of how to use the tools, so you will learn everything very fast. However, you also can use this staff scheduling application in many other ways. FindMyShift features in app text messaging that will enable you to communicate with your employees, change shifts or alert them with any other information. With FindMyShift your employees can also submit holiday requests. Additionally, you can also follow day to day costs and budgets, which will surely lead to better time and money management. Because it is web based, every data you create on FindMyShift will be kept online. In that way, the mistakes are avoided and your employees can follow the schedule anytime and from anywhere. I'm sure that you can use this amazing tool for your business, no matter if it is small or big. You can get a lot of features free, or at very affordable rates. Their prices are amazing, comparing what you will get. There will be no misunderstandings with your staff, no mistakes and the productivity of your business will surely at high level using this astonishing service. We can all feel the global economic crisis. The good jobs are hard to find and even if you work you have to constantly upgrade yourself because the competition will eat you. Today I'm going to present you one really astonishing LinkedIn group and website that will surely help you in the job hunting or educate you for your current or future work goals and tasks. Job Openings, Leads and Connections is LinkedIn group that has over 1.6 million members. You can use the group to post your skills, find jobs, talk with people and follow different promotions. It can really help you to develop your career and grow professionally. The owners of the group created a website with great number of resources for developing your knowledge and education. This library has many free IT, HR & Marketing Resources and much more. All documents, white papers, magazines, webinars and video resources are free. All you need to do is sign up. I love how the site is very simple and organized. You can easily find what you are looking for. There are no spammy ads or downloads. Everything is simple and smooth. I've used this site for few weeks and it really helped me in finding amazingly helpful materials for my current job. No matter if you work in engineering or finance, I'm sure you can find useful resources for any profession, because the website includes over 20 categories. I love how you can also search by keywords or by name. I downloaded tons of videos and white paper in no time. You just have to be specific about what you are searching for. Hope this site will help you in your job and career learning. It is really great website to improve yourself as a person. Today I'm going to present you two very useful apps for your PC. They will definitely improve the entertainment time you spent on your computer. Actually I'm going to offer you one of the best video and media software that you can find on the Internet. Yes, they are free and just ready to install. The first one is new and fresh video and all round media player that you can try and download here. The second app/software is VLC Video Converter. I've used this in the last few days and I'm extremely satisfied. You can literally convert any type of videos. The media files it supports are MPEG-2, DivX, H 264, MKV, WebM, WMV etc. No code packs or additional installations. You can try it for free here. Improve your life, earn big money and live your dreams! I've been struggling as blogger and online marketer for over 3 years now. I had some good times, I had some bad times, but overall, I never made enough good money to enjoy the life the way I wanted. One of my close friends suggested to me to watch one video (he found it on this blog), till the very end. It is a money making video, that literally changed his life. To shorten the story, I watched the whole video series till the very end. One extremely successful online marketer reveals new and really AMAZING approach for making money. After few days of dedicated attention I started making 4 figures weekly, with so less effort, than before. But, my earnings started growing, either than staying static. I'm earning WAY more cash than before and I literally can do what I want and follow my dreams. I'm so excited about my future. I feel confident, I feel great and I know that it is going to be even better. Very often I'm asking myself, where did this guy hide all the time? I'm extremely thankful for anything he taught me. By this time you are asking yourself, what did he taught me? This guy is using unique system for earning HUGE amounts of cash. Six figures in just one month. Fresh and completely new marketing idea, from which I was blown away. It is completely different from the known online and network marketing methods. Basically, he had enough with the online struggles and reinvented the known successful methods. The thing I like the most is that this guy is honest, smart and explains things very simply and thoroughly. In instance you will get his advises and start earning. You definitely have to try his methods, you got nothing to lose. I have real money now, I have life and can do anything. Thank you! See what I'm talking about watching this completely free videos.